Item # 301208 Stash Points: 4,097 (?) This is the number of points you get in The Zumiez Stash for purchasing this item. Stash points are redeemable for exclusive rewards only available to Zumiez Stash members. To redeem your points check out the rewards catalog on thestash.zumiez.com. 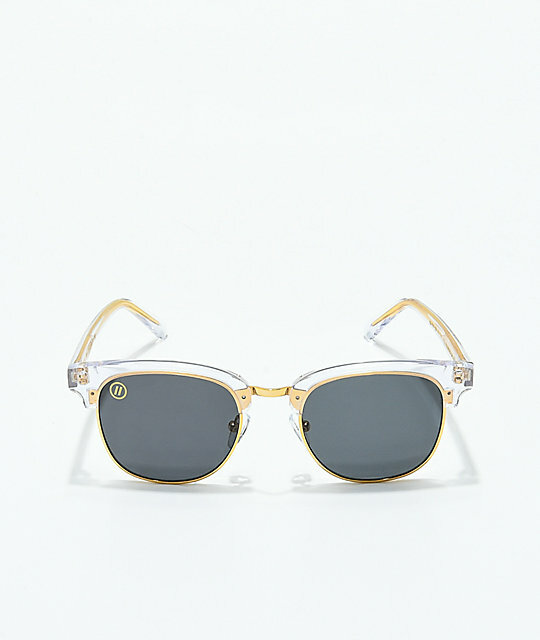 Blenders Eyewear presents the Cardiff Modern Architect Polarized Sunglasses which feature a clear brow bar so that the gold wire frame shines through. Offering a mid-size square Clubmaster-style frame with polarized grey tinted lenses that will protect your eyes from harmful UV rays while enhancing your vision. 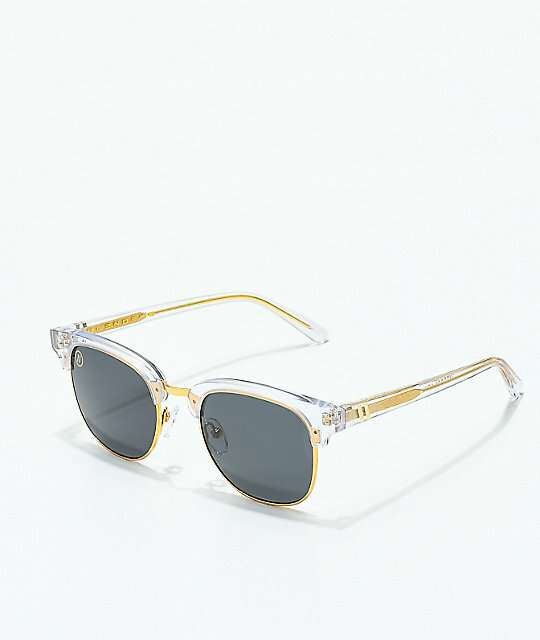 This season the Cardiff Modern Architect Polarized Sunglasses are a trendsetter's must-have. Cardiff Modern Architect Polarized Sunglasses from Blenders Eyewear. Lens: CR39 polarized grey tint lenses. Transparent brow bar & arms.